The FIBARO Home Center 2 is a full featured home automation controller. HC2 communicates with devices and sensors throughout your home using Z-Wave wireless communications. It will cover all your needs and provides easy and intuitive control of your home. The Home Center 2 lets you control your entire smart home network, when you are at home, in the office or using a mobile phone. All features are packed in a stylish aluminum enclosure. 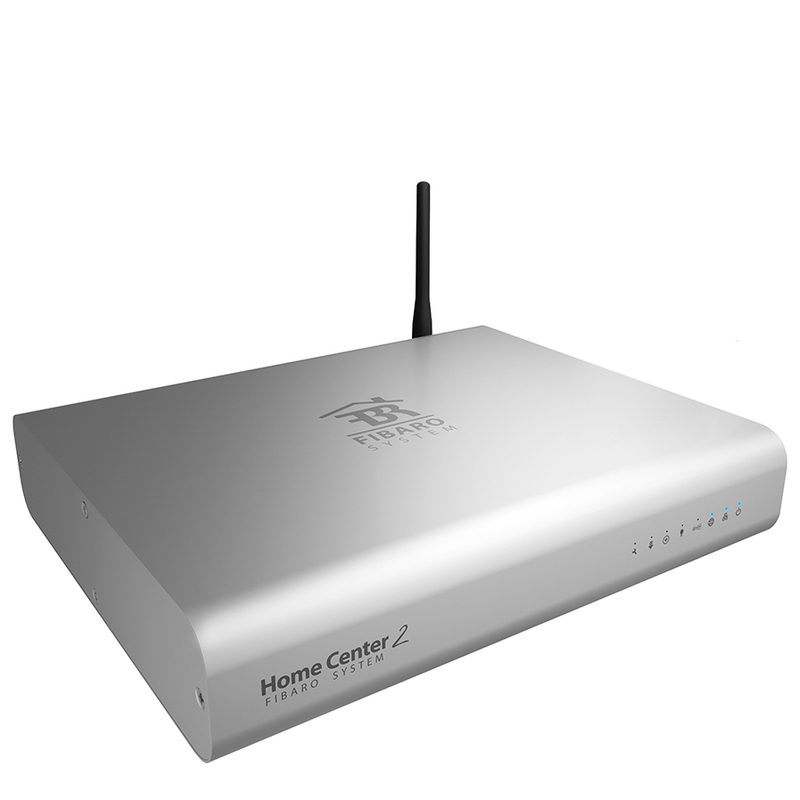 FIBARO Home Center 2 connects to your home network and the internet using the ethernet port. Once the quick setup i finished you are ready to start controlling your devices. Using Home Center 2's "Scenarios" feature you are able to setup advanced rules based on sensor inputs. FIBARO Home Center 2 is power packed. With its Intel Atom processor it delivers amazing performance while keeping power usage at a minimum. Manual - click on the image to download the manual. Video - click on the image to see the video.